Tai's "Omotenashi" | TOKYO APARTMENT INC.
Tokyo Apartment Inc.'s expert staff is able to communicate with you in fluent English. In addition, we provide complete support for any and all necessary communications between you and your landlords, lenders, and management companies. 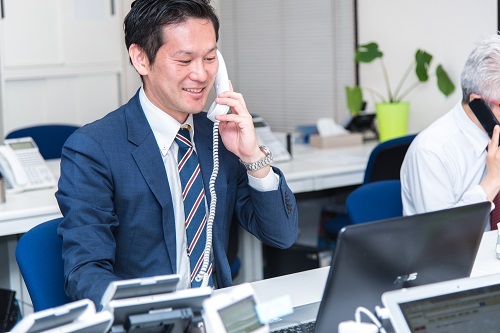 In order to meet your expectations while living overseas in Japan, we are available to assist at any time with the large variety of Japanese correspondence you may receive. Signing your leasing agreement, making arrangements for moving in, cancelling your utilities upon move-out. There are many complicated steps for clients renting a home or apartment in Japan. As Real Estate Specialists, we here at Tokyo Apartment Inc. we provide total support for you throughout the whole process. If there is anything at all you do not understand about your life in Japan, please let us know at any time. Whether you're an individual looking for a place to live, or a corporation hoping to rent a property of your own, we at Tokyo Apartment Inc. are available for consulting for all your contract contents and regulations questions. Even if you have any special restrictions or contract stipulations from your home country, we will work with the other party as much as possible to propose adjustments. Please don't hesitate to contact us!